Unrest among farmers over delayed and part payment by often take a violent turn, especially, between sugarcane farmers and mill owners.Delay in payment to sugarcane farmers has become a big issue in Maharashtra and Uttar Pradesh, the two highest sugarcane producing states. Sugarcane grows all year round, in addition to also being in demand throughout the year for sugar production as well as for export. The farming of sugarcane does not require as much water or personal attention as many other crops. The law mandates that mill-owners must buy sugarcane from farmers in the respective areas allotted to them. The base price for sugar is determined by the government every year, based on which the mill owners make payments to the farmers. It is procured in large quantities by the government, in addition to private dealers, in order to preserve government buffer stock supplies since it forms an essential part of the ration. The current Sugarcane FRP is – Rs. 275 per quintal. According to the latest data from the Maharashtra government’s Commissionerate of Sugar, sugar mills in the state, has only paid Rs. 2875.37 crore out of total due of Rs. 7450.90 crore, as on December 31, for canes at the FRP of about Rs 245 per quintal declared by the Centre for the 2018-19 season. And, Rs, 4575.53 crore has not been paid to the farmers so far. The price of sugarcane is Rs 280-300 per quintal in southern Maharashtra, as against the Rs 245 average for the state as a whole. But sugar factory owners are not ready to pay more than Rs. 230 per quintal. 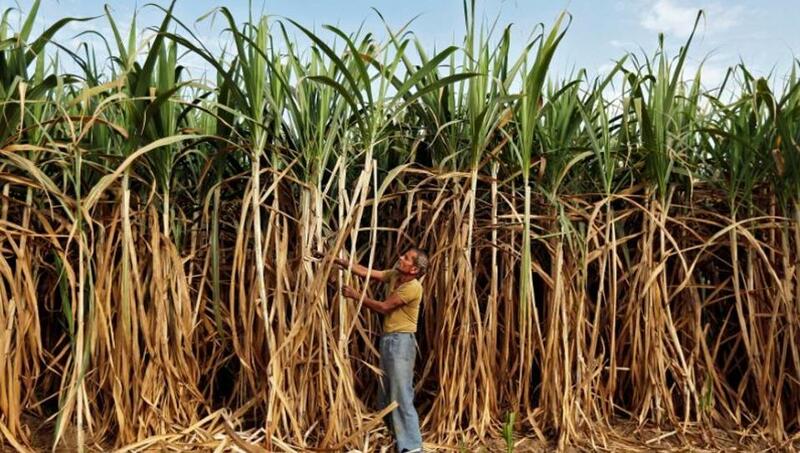 Till January 4, sugar mills bought canes worth Rs 10,051.02 crore at the state government’s average state “advised” price or SAP of around Rs 320 per quintal. Out of this, mills were to pay Rs 7,210.11 crore within the stipulated 14-day period from the date of cane delivery. However, the mills and the government had only paid Rs 2,857.03 crore so far. Total arrears from the current seasonareRs 4,353.08 crore, while arrears from the previous season areRs 1,770.18 crore, totaling Rs 6,123.26 crore. And, Mill owners ready to pay only aroundRs 244-248/quintal. The situation of prices of potatoes is the worst in the country, as well, as the farmers are not being paid enough for their production. According to the latest report on the potato crop, by the Department of Agriculture Cooperation and Farmers Welfare, the market price of potatoes crashed by 39-50 per cent in December 2018. The dip was the most in October 2018 (115 per cent) and January 2019 (61 per cent).Tomatoes achieved the same faith, as the wholesale prices of tomatoes have crashed by nearly 54 per cent (on an average) between November 2017 and 2018. The farmers spend around Rs 9-12 per kg is spent on potato farming, but, of this, Rs 6-8 per kg is production cost and Rs 3-4 per kg is spent on harvesting, packaging, cold storage, and transportation cost. The Minimum Support Price (MSP) of Potato is Rs 549 per quintal, which does not even cover the cost of growing the crop in the first place. The farmers in Punjab were forced to sell their crop atRs 4 per kg, those in Uttar Pradesh sold potatoes at Rs 6.7 per kg in December 2018. In November 2018, the wholesale price of potatoes was Rs 7 per kg in Punjab and Rs 11 per kg in Uttar Pradesh.Some farmers in Punjab says that they spend Rs 7 to produce a kilo of potatoes, all they get back is Rs 2.50 per kg for fresh potato meant for immediate fresh consumption.This December, a farmer in Agra, sold his 19 tonnes potato produce for just Rs 490. The prices of onion were also showing the same trend in December 2018, as prices dipped to 1 -2 rupees kg in Maharashtra, 0.50 paisa, (Neemuch, MP) to 2 rupees kg in some other parts of Madhya Pradesh.In Lasalgaon, the country’s largest onion trading hub, most farmers were selling their produce at 2 rupees a kg.According to the National Horticultural Research and Development Foundation, in November 2017, the average price for every quintal of onion was Rs. 2,852. 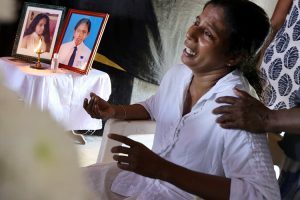 In the month of December 2018, it has fallen to as little Rs. 879 per quintal. In Nashik, a local farmer sold his stock for as little as Rs. 2 per kilo in early December. Prices of farm produce remain unstable in the country and the producers are suffering the worst crisis of the century.The deceleration in farm produce prices in last 30-40 years can be broadly traced from 1991.The low prices of farm produce coupled with high production cost and the lottery system of the middlemen has ruined the farming sector. Soon, we have to take firm steps or otherwise, the production of the farm produces will suffer severely in upcoming years. “The farming of sugarcane does not require as much water or personal attention as many other crops.” I regret to have to point out that this statement that is completely wrong detracts from an otherwise excellent article. Sugarcane is one of the most water-thirsty crops.